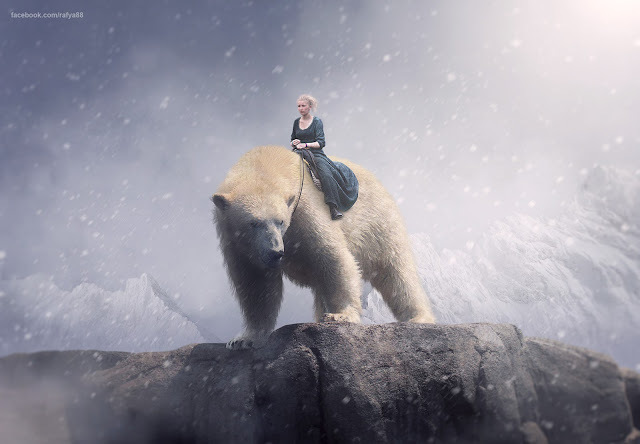 This video will show you how to make The Polar Bear Rider manipulation scene with dramatic snow effect In Photoshop. adding dramatic foggy effect on background, bring back the bear feather after cutted out, adding a soft light, adding snow effect easily and many more. I hope this video helpful for you. Get all stock images below if you want to use them. Eu sou do Brasil, e seu trabalho é fantástico!!! Me inpirou a voltar a trabalhar com photoshop. wah.. namanya sama kayak saya.